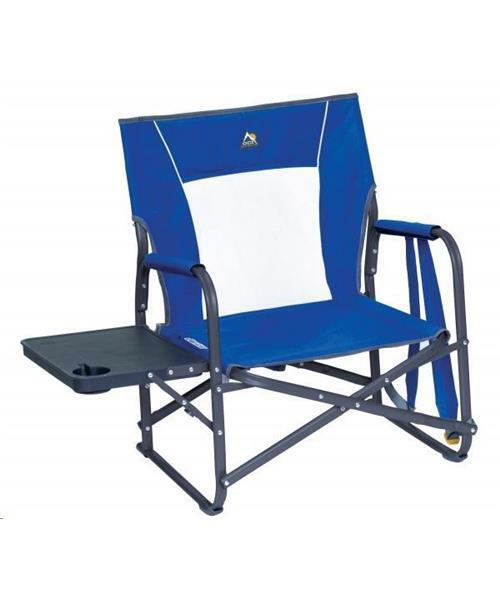 Designed with a seat height of 13 in, the Slim-Fold Event Chair™ is perfect for music festivals, tailgating and more. With its patent-pending design, the chair folds flat and takes up minimal storage space. It features a relaxed backrest, padded armrests and a fold-out side table with a built-in beverage holder. The chair folds quickly and easily with our patent-pending Eazy-Fold™ Technology. Then just carry it with its backpack straps for hands-free portability!